Olive oil has not been the same since 2007 when Tom Mueller did a journalistic expose in The New Yorker on the industry’s shenanigans. This prompted the UC Davis Olive Center to conduct a study on many popular olive oils (evaluating sensory qualities and oxidation levels), confirming Mueller’s claims that 70% of imported olive oils sold in the United States are fake and diluted with cheap vegetable oils. I came to Sicily to learn more about olive oil. 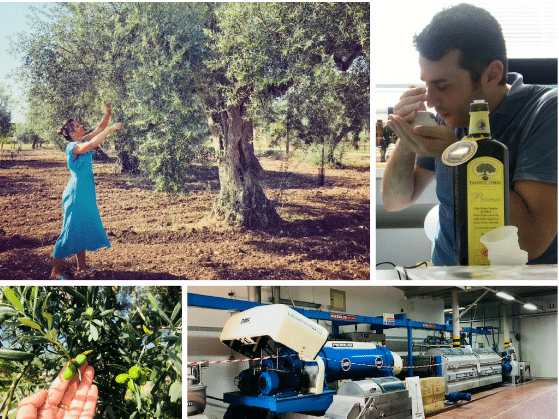 I didn’t manage to catch the harvest season (I visited in July and the harvest is in late September and early October) but I managed to secure interviews and visits with some of the most awarded organic olive oil makers in the world. The Fresh-Pressed Olive Oil Club founder (more on them below if you want to get top quality oils), introduced me to Frantoi Cutrera – a family-owned, highly awarded, DOP-certified olive oil maker who grows their olives at the fertile foothills of Mount Etna (the active volcano). The owners are fanatical about olive oil – and so it is no wonder they were picked for the Freshly Pressed Olive Oil Club last year. (Their suppliers change though, see more on this below). Interviewing Frantoi Cutrera’s manager, Sebastiano Salafia – he’s demonstrating how to taste olive oil – demo video below in this article. These ancient trees are protected by law in Sicily and can’t be cut down. Picking a few olives. During harvest, all the olives are hand-picked. No machines are used. It’s July now and they are not ripe enough to be picked. I would have to come back at the end of September! Olives here are hand-picked when semi-ripe – this way, even though they don’t generate the highest yield, they contain the highest levels of the medicinal polyphenols. Many other olive oil manufacturers wait until the olives fall on the ground and have a higher yield – which is considered inferior oil making practice. A long list of awards they won, and even more on their website – an impressive display of accomplishments. Let’s first take a quick look at the medicinal properties of a true extra virgin olive oil. – EVOO can lower LDL cholesterol (bad cholesterol) and improve HDL (good cholesterol). The later is the “raw material” or precursor for the production of steroid hormones such as estrogen, progesterone, cortisol, DHEA, and testosterone. If you want to know about other oils and fats, read my book Cooking for Hormone Balance. A quart or a liter of EVOO should cost you between $8 and $40. I personally have found that the truly good oils hover in the $25 per bottle range and higher. This is what triggered Tom Mueller to investigate – the taste and smell of the supposed high-quality olive oils. Many people think that a good olive oil needs to be buttery and sweet – this is not correct. In fact, olive oil tastes this way when it has been diluted with tasteless vegetable oils. A true extra virgin olive oil is pungent (from the presence of grasses, tomatoes, and artichokes) and bitter (from the polyphenol content). That can be off-putting – many people think it’s due to rancidity – it’s not. A good EVOO is supposed to make your throat scratch a little. Want to conduct olive oil tasting in your own kitchen? Sebastian shows us how. This was my first time – it’s so simple, yet revealing! If you want to know a little more about the taste and aroma, watch this part of the interview. Color is a non-factor – many crooked and fake olive oil makers add green colorant to the oil to make it look fresh. Furthermore, olive oil goes through a natural maturation process from bright green when freshly pressed to golden and then brownish with a green tint when it reaches maturity. Unlike wine, olive oil does not get better with age – it gets worse – both in taste and medicinal properties. The best practice is to consume it within the first year of pressing. This is why you may find the Fresh-Pressed Olive Oil Club as interesting as I did – they deliver freshly pressed oils every quarter, rotating suppliers. For example, an Italian EVOO would be at its prime quality when sold in January-March timeframe. But, in other calendar quarters, the freshest oils would come from Chile or Australia. In this video, Sebastiano Salafia of Frantoi Cutrera explains how freshness of the olive fruit and the processing time and method impacts the level of polyphenols (potent antioxidants) in olive oil. “Extra Virgin Olive Oil” – For starters, the bottle must state “Extra Virgin Olive Oil.” That in itself is not enough as many crooks and fakers use it on their labels too. Harvest date and “best by” date – you now know that freshness matters a lot. Scrupulous EVOO makers would display both dates. Harvest date is very telling because it’s best practice to consume the oil within 12 months from the harvest date. The Frantoi Cutrera bottle shows both; harvest (B: 17/18) and best before date (A: 31/12/2019). Certification – if buying oils from Europe, look for PDO and PGI certification. In Italy, PDO is labeled as DOP (see the bottle) – this means that specific protocols are overseen by a quality control committee. In California, the COOC (California Olive Oil Council) exercises rigid standards as well. Organic (not that meaningful here) – to my big surprise it’s not a guarantee of quality. It just means the fruit was grown organically but it does not tell us other quality-impacting details such as: When the olives were picked (Sebastiano explained in the video that less ripe olives generate a lower yield but are higher in polyphenols), the time from tree-to-pressing, heat used during mastication, what else has been added to the oil – are just some of the factors that “organic” label does not guarantee. Meaningless descriptors – Words that don’t mean anything and are used as marketing gimmicks are “Olive Oil”,“Light” Oil, “Made in Italy”, “Freshly Pressed”, “Bottled in Italy.” Also, pay attention to your own unconscious bias – just because a label shows enchanting rolling hills of a Tuscan estate, it does not mean the product is legit. Pick a dark bottle. Olive oil gets oxidized quickly with the oxygen that is left in a half-empty bottle. Light penetration speeds up that process. I used to think that unfiltered olive oil (due to its rustic, authentic look) was automatically superior to its filtered counterpart. This isn’t entirely true. UC Davis Olive Center says that the studies are inconclusive and that you need to evaluate additional factors including fruit maturity, type of filters used and shelf life stability. According to Sebastiano Salafia from Frantoi Cutrera whom I interviewed, they use large filters as they found that unfiltered olive oil can deteriorate quickly if it contains too many unfiltered particles. This is clearly a large-scale manufacturer’s preventative decision. If you can get an unfiltered EVOO and use it within 6 to 12 months, you should be good. Use your intuition to distinguish hype from the real deal. If you live in California, the Mediterranean, Greece, or Spain and close to a mill, this is clearly your best choice. You can inspect the oil with your own eyes and buy it right there. The second best choice is joining an olive oil club that buys freshly pressed oils from around the world. They do exist :-). The Fresh-Pressed Olive Oil Club managed by TJ Robinson (I’m a member now, too) is one such option. TJ was the one who pointed me to Frantoi Cutrera. I went there partly to see for myself how committed they are to making truly top quality olive oil. See offer below. Another option is to try getting your EVOO from a local specialty store you trust that does oil sampling and tasting – try the oil based on the parameters I’ve given you (and demonstrated by Sebastiano) and pick from there. Most supermarkets use olive oil blends that have been stored for years before bottling. The law only requires them to put the “Best before” date on the day of bottling – creating a false sense of guarantee that the oil is fresh. I’m personally going to stop buying Whole Food’s EVOO just because I just don’t know enough about them and many of the things I discovered and wrote about is not stated on the bottles in most health stores. T.J. Robinson, the founder of the Fresh-Pressed Olive Oil Club (he’s a former food editor at a prestigious magazine), travels the world to pick the best and freshest oils. The selection changes each quarter depending on their quality – weather, soil quality, and rainfall are variables that can impact the oil. It works the same as a wine club. You get hand-picked EVOO bottles each quarter. Yes. I received 3 bottles from them before I left for my vacation and they were outstanding. But, to be sure, I also went to Sicily to meet one of their suppliers (for that quarter) and, as you now know, I’m impressed. Try first. T.J. has a special offer for the Hormones Balance readers – it’s $1 to try a top quality bottle of olive oil which retails at $39. But now you only pay $1. Join the club and get quarterly delivery – join the club and get freshly pressed, top quality certified olive oil delivered to your house. There is an option of 3 large bottles (my choice) or 3 smaller bottles. Shipping only available in the US at this time. Unlike some other clubs, there’s never a minimum commitment or obligation to buy anything. Every olive oil comes with a no-questions-asked, 100% money-back guarantee. If you ever decide to ask for your money back on a given shipment, you don’t even have to return the oil. Whatever you’ve received is yours to keep with T.J.’s compliments. His outstanding customer service team graciously takes care of your refund request immediately. This is the kind of generous, fair-minded offer I like to present to you for a product I truly love. And it’s an excellent opportunity, perhaps for the first in your life, to experience the exceptionally vibrant and delicious taste of extra virgin olive oil when it’s fresh from the new harvest. 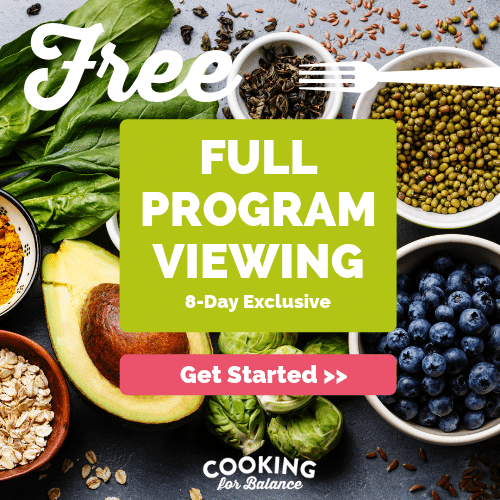 Let me tell you, it adds a whole new layer of flavor and deep-down satisfaction to your crisp salads and veggies, grilled meats, delicate fish, toasted nuts and seeds, and other favorite dishes. Get started with the $1 offer here. Very interesting! How much does it normally cost to join the club? As usual evertime something comes up on our Facebook feeds or emails its not available in Canada.! After all your amazing research —what is the best olive oil to buy in the stores.? Any ideas about the quality of Trader Joes extra virgin olive oils? I have a bottle of TraderJoes Unfiltered organic olive oil in my basement; it is still sitting there because it is so lacking in flavor compared to some of the other olive oils I have tried. What is the highest safe cooking temperature of these oils? Up to 375 degrees F or 190 Celsius. Thanks again for the information. I joined this club last year…. am on my third round and we LOVE the oil! Would like to hear a reply wrt Mary Collette Rogers question about saving. The less expensive oil for cooking and pricier for salads and uncooked Foods. I’ve been buying Organic Extra Virgin Oil at Costco (Kirkland Signature). I’d like to know is it real stuff. If you can kindly let me know if I should continue buying it from Costco. Criteria for selecting good olive oil is nice especially labeling because all the time we can not find good olive oil as we really don’t know how it smells or its color while it just manufactured.